Are you or a loved one suffering from Allergies, Asthma or Sinusitis? A clinical trial may be the answer. We are actively seeking patients of all ages for a variety of research studies on different types of asthma of all severities, including exercise-induced asthma. We also have trails for nasal allergy patients. All study related medications are free. All physician visits are free. All lab work is free. No insurance co-payments, no claim forms, no fees. No insurance or provider authorization is needed (but we do encourage patients to discuss trials with their primary care physicians). All of our participants are under the direct care of Dr. Weinstein for all study related procedures. If you would like to participate in respiratory research and be compensated for your time and effort, please fill out the form below and our Clinical Coordinator will contact you with more information. There is no obligation to enroll or complete any study and patients may withdraw from any study at any time. Without clinical trials, there would be no new medications. Clinical Trials are vital scientific investigations that help us find new medications and new uses for medications that already are in use. 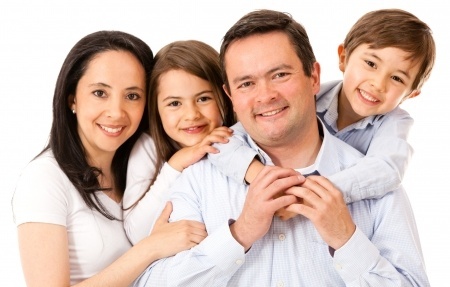 People of all ages participate in our studies regularly and are all under the care of Dr. Weinstein. Your participation is crucial to the development of new treatments that will go on to benefit countless asthma and allergy sufferers in the future. Clinical trials enable both patients and their families to better understand their conditions in a friendly, personalized research setting. Yes. Protocols are reviewed by independent Institutional Review Boards (IRB) which protect participants’ rights and makes sure the trial is carried out properly. All study medications have been taken by other participants prior to the trials at our research center. Subjects as young as 2 and as old as 85 have participated in the clinical trials at Allergy and Asthma Specialists Medical Group. The Treatments are strictly monitored by the Food and Drug Administrations (FDA), the government agency that approves all new medications in the United States. Yes. Subjects in ALL clinical trials are COMPENSATED for their time. The amount of compensation varies with each clinical trial. Trials may last for a day, week or for months. Some trials last for over a year. Visits may occur weekly or up to every few months. Visits may vary in length from less than a half hour up to a full day depending on the study. We are aware of participants’ busy schedules and offer extended hours to accommodate school age children and working adults. Doctor Steven Weinstein is board certified in Allergy, he has been the principal investigator in over 250 clinical trials and has published his findings in leading medical journals and lectured internationally. He received his medical training at the State University of New York at Buffalo and at the University of California at San Diego. His allergy and asthma fellowship was completed at Boston’s Children Hospital, a major teaching hospital affiliated with Harvard Medical School where he also was a clinical instructor. 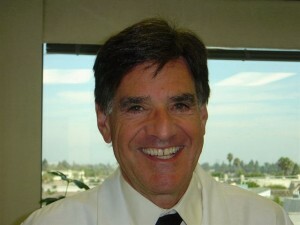 Dr. Weinstein has held positions in many professional organizations including the Western Society of Allergy and Immunology (WSAAI) and the Orange County Society of Allergy and Immunology. Doctor Weinstein has also been President of CRN/Allergy and Respiratory LLC, a national network of premier clinical research sites. Dr. Weinstein is the proud father of three children and he just celebrated his 45th wedding anniversary. He enjoys golf, but his aspirations tend to exceed his ability.